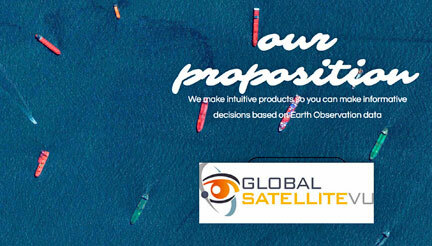 [Satnews] Newly formed firm Global Satellite Vu (GSV) is opening the availability for every nation to become a satellite nation. GSV’s business is premised on the current disruptive change in the economics of access to space such that every nation can now afford to be a space-capable nation. For governments, an independent and on-demand view on border security, pollution or essential resource supply lines is one of many national applications. From a commercial perspective, key applications include surveillance, asset tracking to asset utilization for real-time commodity trading. The evolution of Earth Observation systems is passing an inflection point and has become agile, innovative and cost effective. Satellites today cost one tenth of previous generations and can be delivered in a fifth of the time. GSV is capitalizing on this inflection point to offer multiple satellites in constellations providing consistent, reliable and frequent images direct to the end user. GSV offers a total solution for converting space data into meaningful, timely and relevant information: starting with a subscription of the best images of the day, upgrading to a customers’ own satellite, then providing the capability to extract information from the Big Data. We provide the enabling technologies, integration of the solution and importantly the training, so the customer can independently operate the system. GSV can also provide business advice on commercializing the project in the areas of export financing, marketing and distribution. The new company and its partners is comprised of industry specialists with experience in the innovative use of satellite and space technologies, combined with emerging market development expertise. GSV was co-founded by CEO Anthony Baker, formerly Chief of Strategy at Es’hailSat and VP of Space Development at SES, with more than 20 year’s experience in the satellite business. The company operates from London and Dubai.